Pure and soft organic cotton king sized flat sheet from Natural Collection. Comfortable and light, with a subtle stripe and lovely sheen, Natural Collection bedlinen is suitable for even the most sensitive skins. Ecru cotton - manufactured with no chlorine or optical brighteners. 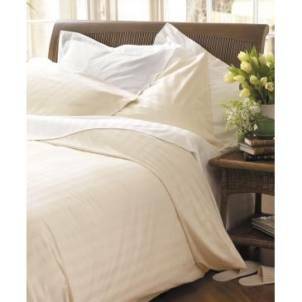 The Natural Collection Organic Cotton King Flatsheet - Ecru product ethics are indicated below. To learn more about these product ethics and to see related products, follow the links below. There are currently no questions to display about Natural Collection Organic Cotton King Flatsheet - Ecru.